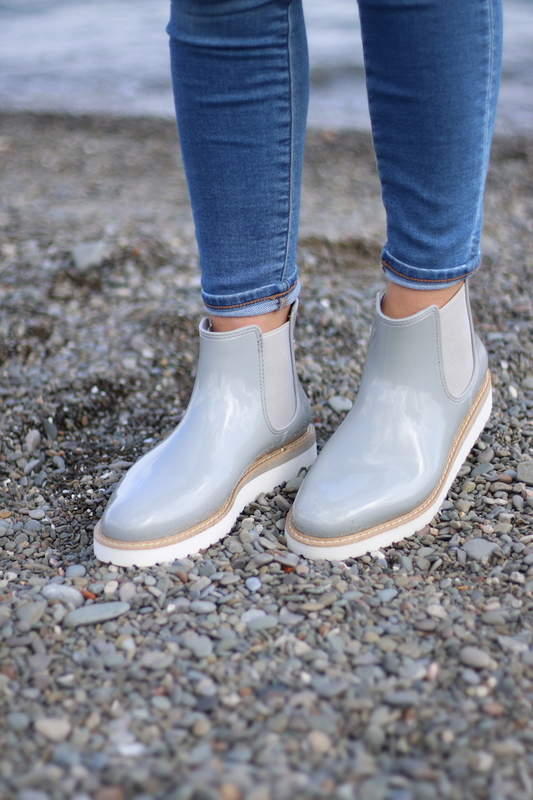 Do Cougar Rain Boots Really Keep Water Out? Who says Spring Showers need to be bad? I say as long as you have some cute boots and an umbrella, bring it on! For this post, I’m partnering up with Cougar Shoes who generously let me try out a few shoes from their new Spring Collection. I’m a big fan of rain boots and have a few pairs already but they are all super tall which can be annoying to wear for quick outings. When I saw that Cougar Shoes had small boots available (and in super cute colours), I was so excited to try them. I opted for the Kensington Chelsea Boot in Mist while Nicole opted for the same boot but in black. Do Cougar Rain Boots Keep Water Out?